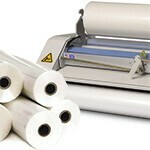 We know that it can be frustrating and overwhelming to search for the best roll laminating machine to buy -- there are thousands of machines, and hundreds of different brand names to sort through. So how do you know which is best? We've put together a short list of questions and tips that you should keep in mind during your search. These will help ensure you ask the right questions, and focus on the most important specs and features of the machine. If you are looking for a heavy duty paper punching machine for binding that is capable of handling large sized jobs in a high production facility, then the Rhin-O-Tuff HD7000 Heavy Duty Electric Punch is right piece of equipment for you. In this in-depth review we will examine the HD7000 Punching Machine, explaining what makes it great, as well as it’s limitations and pitfalls. 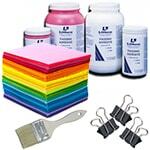 What do I need to Make Pads of Paper? 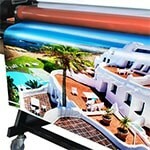 Making a pad of paper is so much easier than you may think! Although an actual padding press machine makes it easier to make paper pads in bulk, you really only need a couple of tools and supplies to DIY notepads. 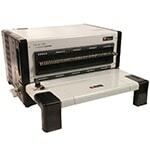 There are several different Coverbind thermal binding machines, but they all work basically the same way. In this post I am going to first go over the basic instructions for all thermal binding machines --with the knowledge that you understand some of the steps might be slightly different, depending on the machine model you are using-- and then I will discuss each of the Coverbind brand thermal binding machines in more detail, along with specific instructions for each. How do you make an Extra Large Coil Book? Want to make an extra large spiral coil binding book? It is easier that you may think, and requires all of the same machines that traditional smaller books do, with just one simple change. 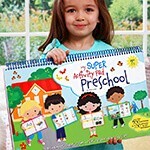 Whether you want to make large activity books for children, as pictured, want to bind together architectural blueprints and plans, make an art portfolio for your large prints, or anything else, using a long plastic spiral coil is a great way to do it. What is a Ring Binder Mechanism? 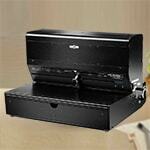 A ring binder mechanism is the spine part of a binder that actually has the rings attached. 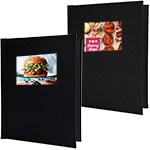 It is mounted onto a binder cover, either on the spine or on the back cover up against the spine. 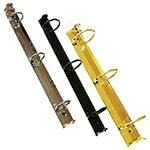 Typically ring binder spines are made of metal, but sometimes they will also have plastic components. 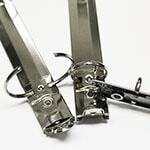 In this article we discuss the different kinds of ring binder mechanisms available, and show you where you can buy binding mechanisms. What is the Easiest Way to Make Hard Covers? 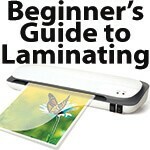 If you are new to laminating, the guide below will walk you through the key points of laminating that you need to know, including the benefits of lamination, the different kinds of laminating machines, what questions you need to ask yourself before you buy a machine, and some common FAQs and troubleshooting tips to help you ensure you get the perfect lamination, every time. The world is going green and Binding101 is joining the fight to keep our planet looking beautiful! Eco-friendly products are a great way to fill your company needs while keeping our Mother Earth's wellness in mind. 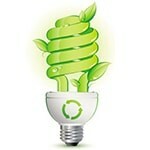 Our variety of earth friendly products will help your company make the switch. 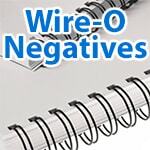 What Are the Negatives to Wire-O Binding? Wire binding is, by far, one of the most popular ways to document bind, but that doesn't make it perfect. They are pretty, professional, and fairly easy to use -- but there are some cons to keep in mind before you start Wire-O binding. Here, we discuss the negatives of binding with wire. Introducing the FlexiPunch-E - an innovative modular punching machine with electric operation at an affordable price that gives you the versatility of document binding options that you need, allowing you to punch for wire-o, gbc combs, and spiral coil. The high-quality precision die sets available with this machine will last for years of production. 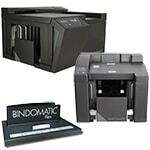 Finally, you are able to punch your mid-volume jobs with a variety of binding methods by simply switching the punching die on this portable unit. How do I Bind Half-Size Documents? Half size document binding is becoming more and more popular, but finding stocked half size binding supplies and accessories can still cause a problem for many people. 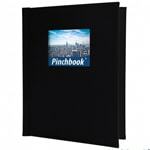 At Binding101, however, we stock several different options for binding half size 8.5" x 5.5" documents. Here we outline those methods, showing you just how easy it is to bind half-letter size pages. When you're business is real estate, and you are selling high-value homes and property valuing at hundreds of thousands, sometimes millions of dollars. Don't use stapled pages or low-quality bindings to present these listings to your potential clients and team...instead, use Pinchbook hardcovers - the no-machine, you-can-make-it-in-5-seconds, completely-editable, premium binding cover that will help you make the best real estate presentations. If you are looking for a heavy duty paper punching machine for binding that is capable of handling large sized jobs in a production facility, then the Rhin-O-Tuff HD7500 Heavy Duty Electric Punch is right machine for you. In this in-depth review we will examine the HD7500 Punching Machine, explaining what makes it great, as well as where it could be improved upon. 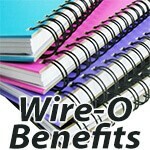 Wire binding is one of the most popular ways to document bind. 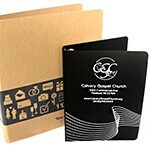 You can find them on sketch books, notepads, professional presentations, calendars, and so much more. 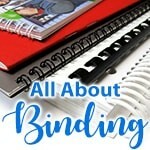 If you've been wondering why wire-o binding is one of the best ways to document bind, then check out these 3 main benefits of wire binding. Have you ever considered making your own cook books at home? Or maybe you are a business just starting out and trying to discover a way to properly market your company to walk-in customers in an inexpensive way? Well document binding might be a solution perfect for you! In the sections below we will walk you through the “ins” and “outs” of book binding, the most popular methods of book binding, how it can make your business life easier, and offer you help purchasing your supplies from the start to finish of your project. 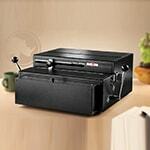 Document binding with plastic coil spirals can be time consuming. Often customers will punch a couple sheets at a time, manually roll the coil in through the punched holes, and then hand crimp the edges. But with an average of 44 holes along a binding edge, this can be pretty time consuming. 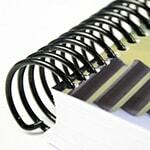 There are 3 ways to speed up the spiral binding process. In this article, we will discuss them.